The restaurant features images of former Cathay film stars & Cathay movie scenes amidst a modern setting. We got to preview their dishes for Chinese New Year – here’s our menu; a mix and match from different menus that they’re offering during the festive season. It was very tasty but not overbearingly so! I usually don’t like the taste of bamboo (zhu sun, which sounds like “long life” in chinese) but it didn’t taint the taste. Bob says the broth that they use was very “top quality” – you could tell that it was brewed for a long time, using good ingredients 🙂 Plus, they were very generous with the ingredients… you know how some restaurants try to save money by making it super starchy? You didn’t get that here. 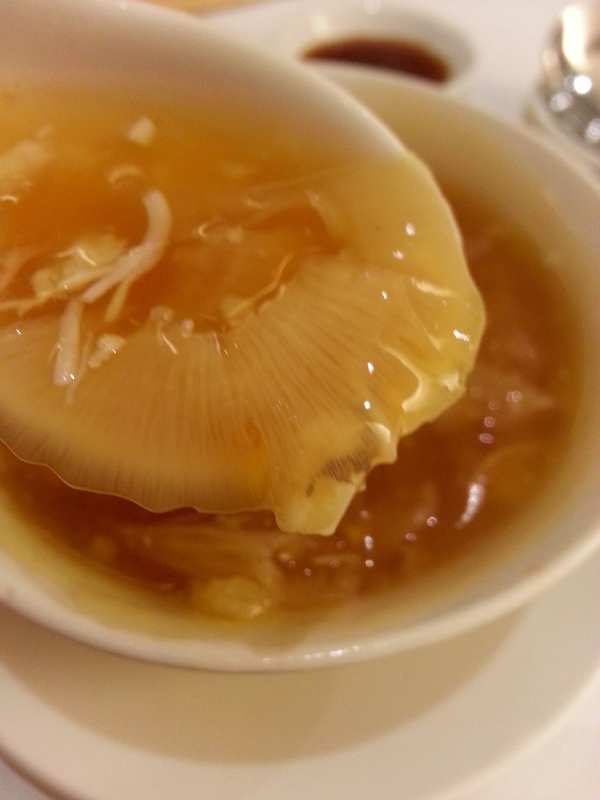 But hor, let me officially say that I am not an advocate of consuming shark’s fins – in fact, The Cathay Restaurant also does not actively promote this. You can choose to replace this with another kind of soup, without incurring any surcharge! This dish already wins on so many categories – just reading the description made Andrew SUPER excited. Mainly because of the mention of “XO Sauce”. Indeed the sauce adds another level of complexity to an otherwise average dish. 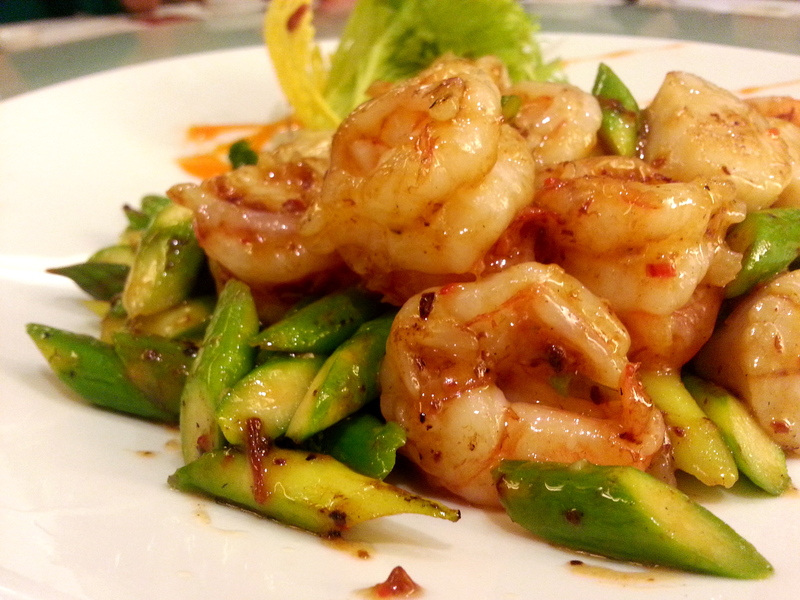 Everything about this dish was “FAT AND JUICY” – the asparagus, the prawns and the scallops. Could easily be the best vegetable dish I had for the year. 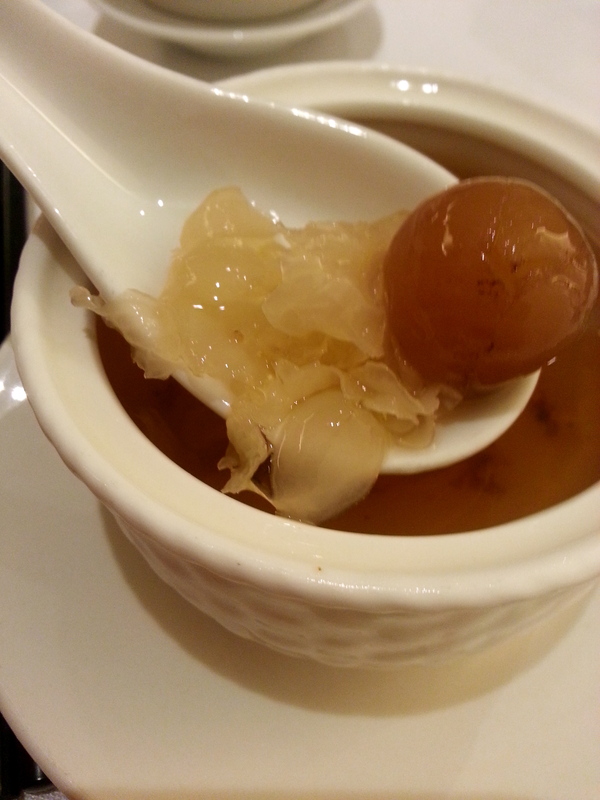 Again, Andrew got SUPER EXCITED about Chye Poh. 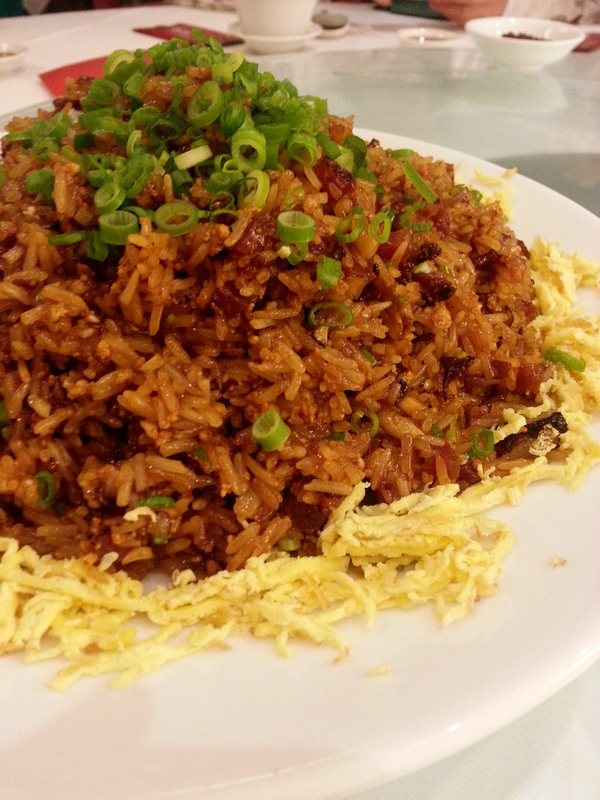 Who doesn’t love chye poh on chwee kweh? 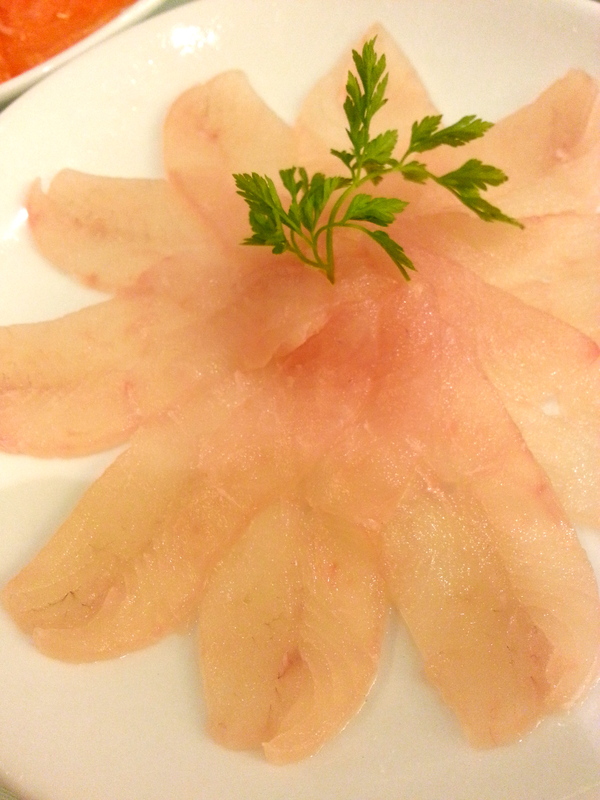 The fish itself was fresh, flesh was firm and sweet. 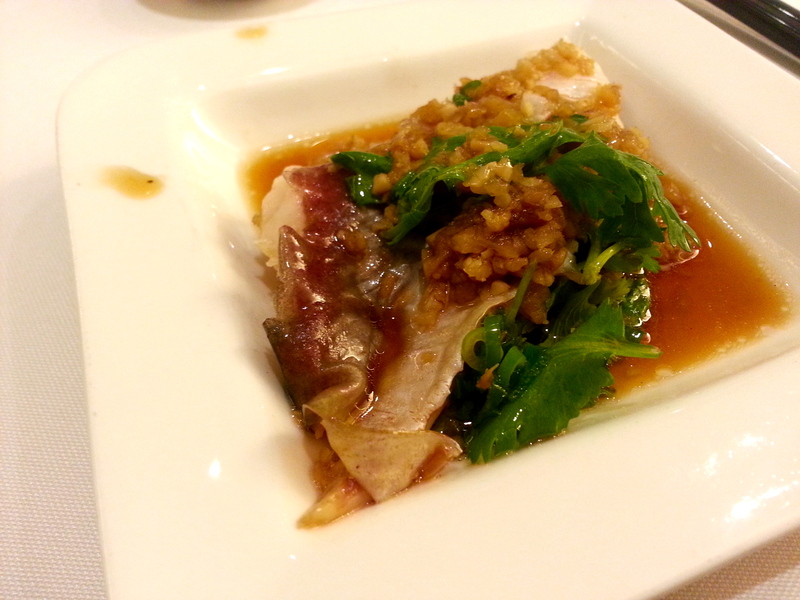 The chye poh lends it some saltiness, and the garlic more flavor, all of which blended really well. 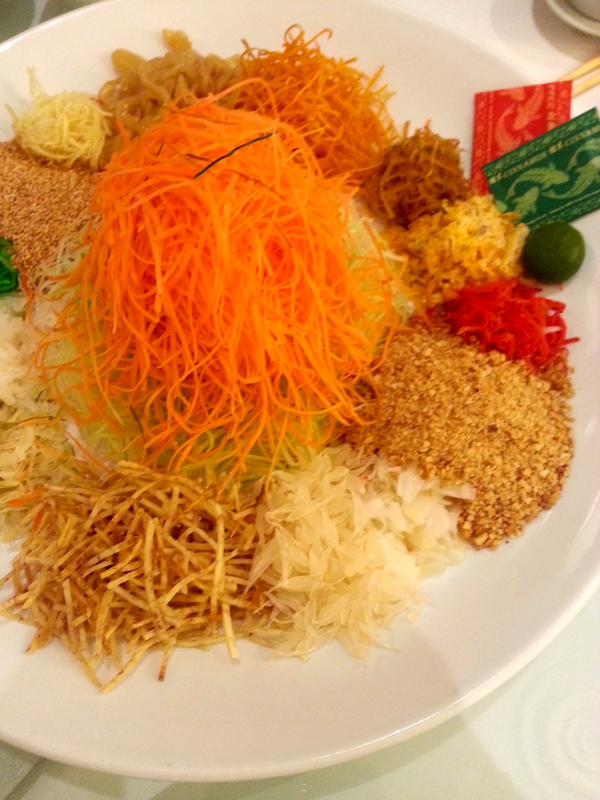 We thought this was an interesting way of combining all the traditional CNY ingredients. Black Moss (fat choy) is always paired with Oysters (ho see) – because together they sound like “wealth and good business” – they were packed in tofu skins (fu again). Abalone (fu) also sounds like good fortune. So yes, huat all the wayyy!! Again, this wasn’t your average chicken-rice-stall roasted chicken – it was topped with this crispy thing… which isn’t cereal, I really don’t know what it is, which gave it an added crunch with every mouthful. I usually don’t like roasted chicken, but this one wasn’t overly dried out. 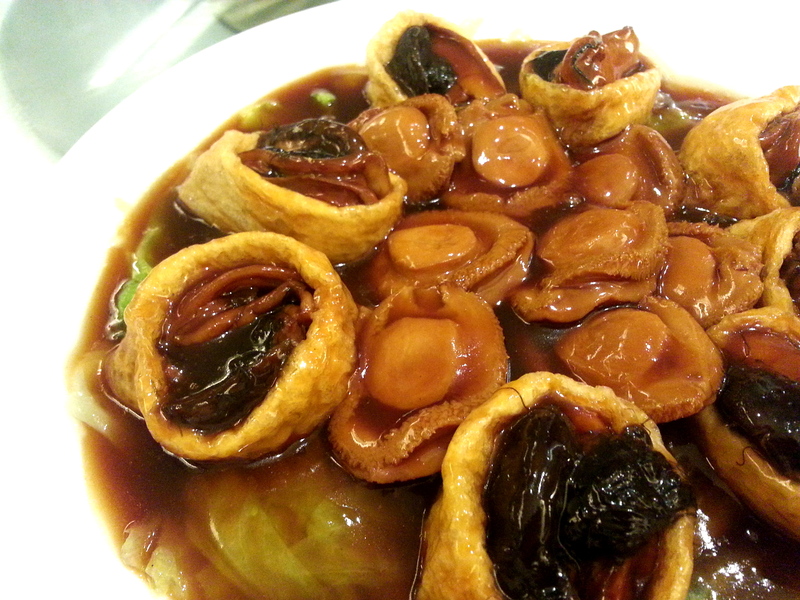 If you’re a fan of lup cheong you’d love this dish. 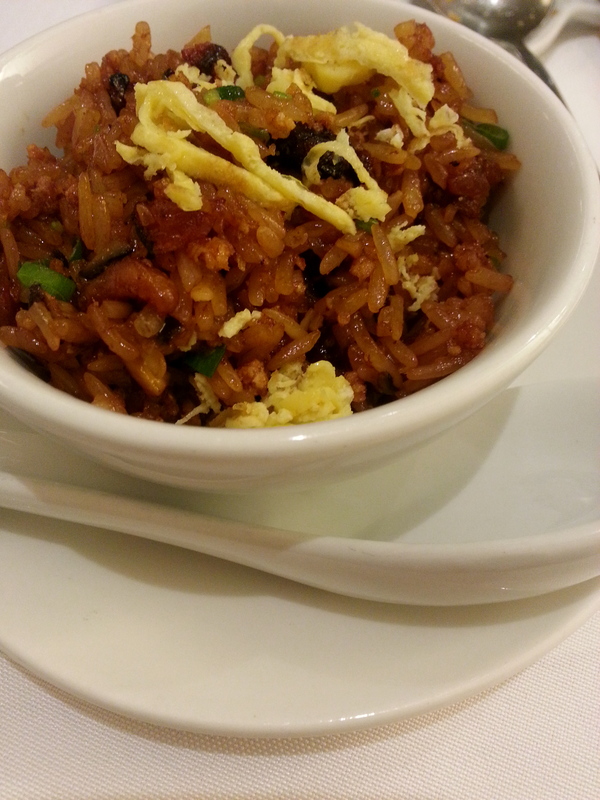 The fried rice was also well done and very flavorful! 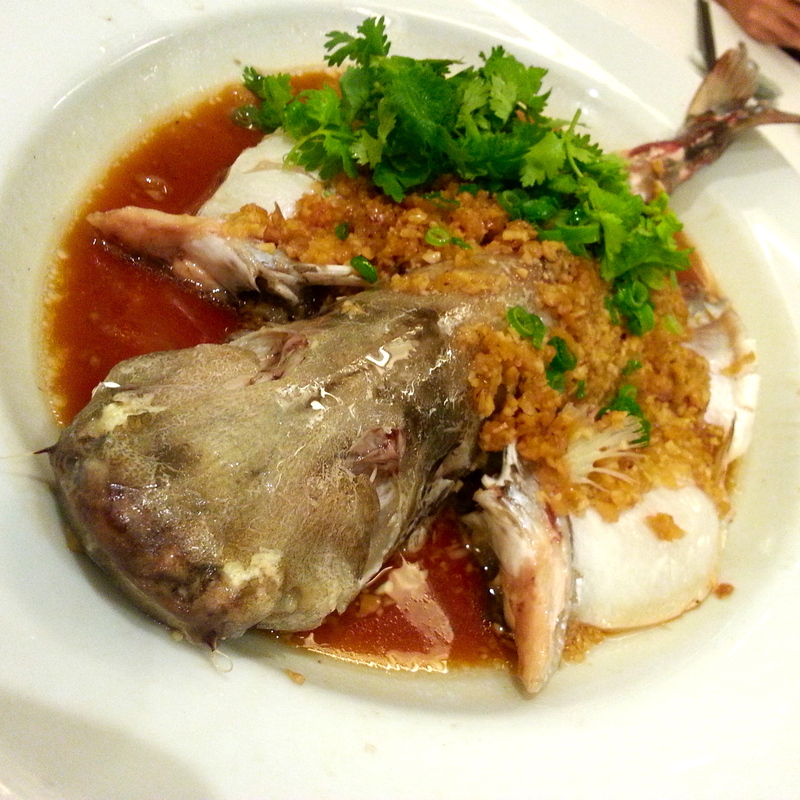 This was very “cheng” and “cooling” – a good way to end the meal. Of course, the lotus seed bears an auspicious meaning too. 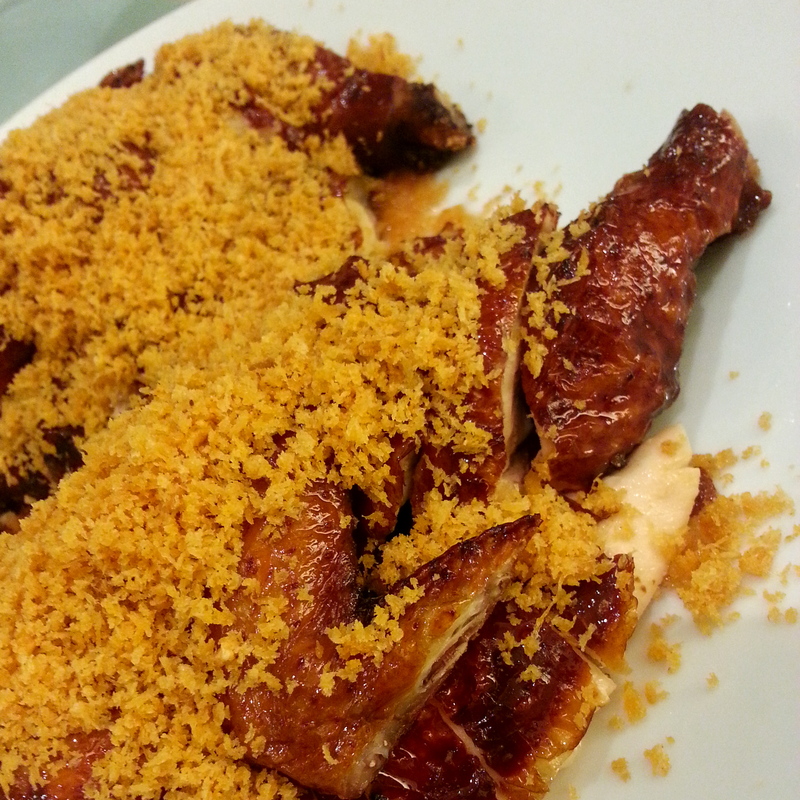 Which CNY meal is complete without eating some nian gao? Its symbolic meaning: to advance with each coming year. 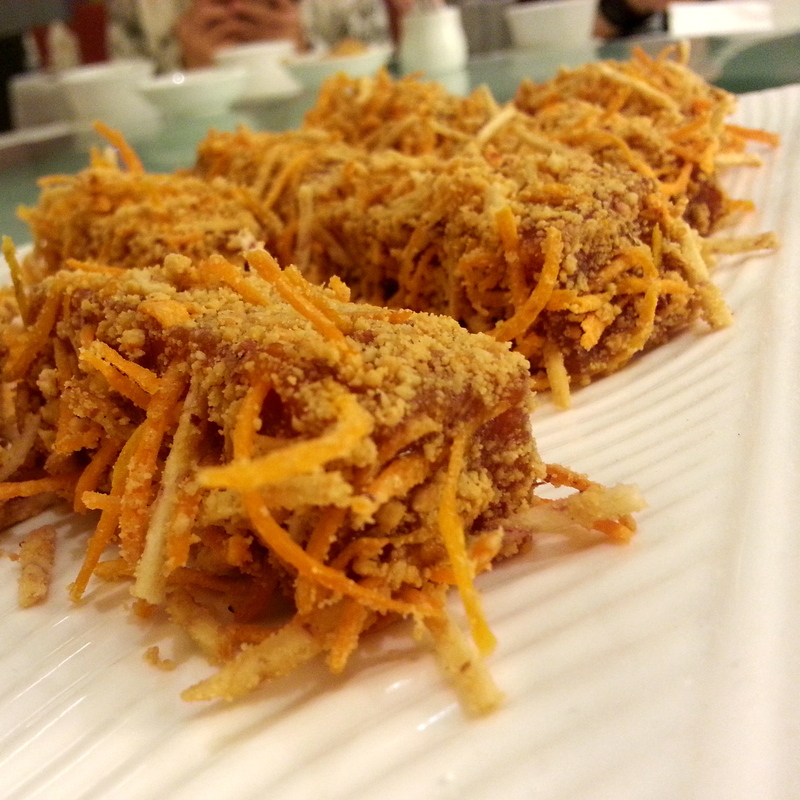 We loved how The Cathay Restaurant added their own spin to it – the nian gao that was served to us was coated in crushed peanuts and crispy sticks of sweet potato and yam. All in all I think The Cathay Restaurant is a great place for a reunion meal if you’re sick of the traditional dishes that are normally served. 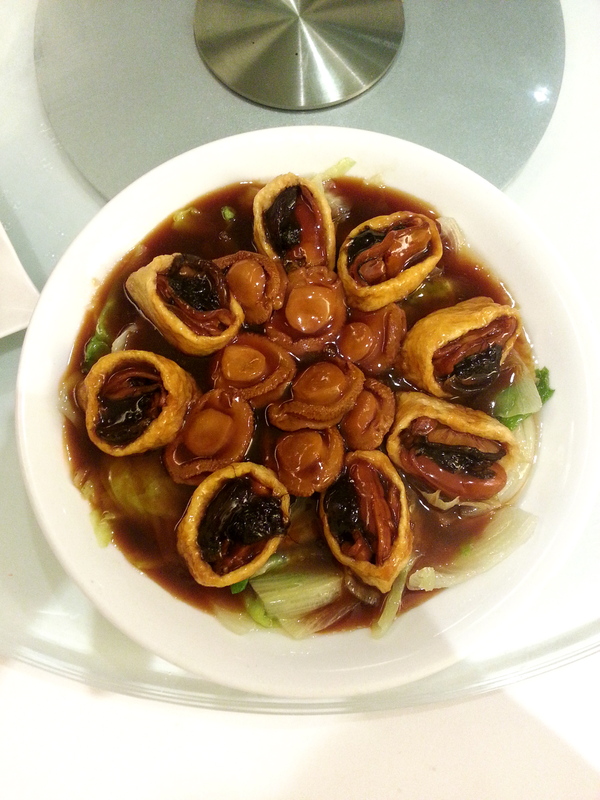 They’ve added interesting spins to traditional ingredients that work – so you can try something different, yet retains the “auspicious” elements that are typically consumed during Chinese New Year. 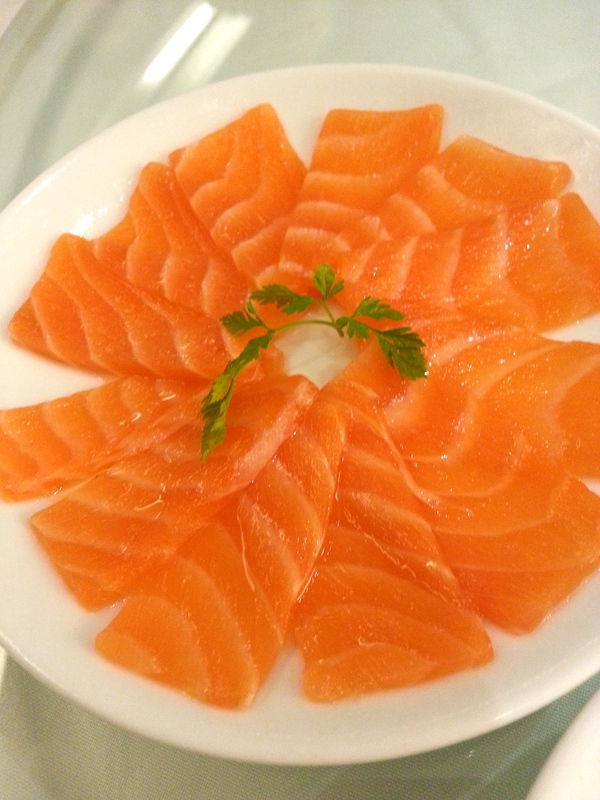 Service is also very good, and you can opt for private dining if you prefer a cosy environment. They have a range of menus for different pax and budgets and I think for the quality of fresh ingredients used, plus a rather swanky setting, it’s very reasonable! 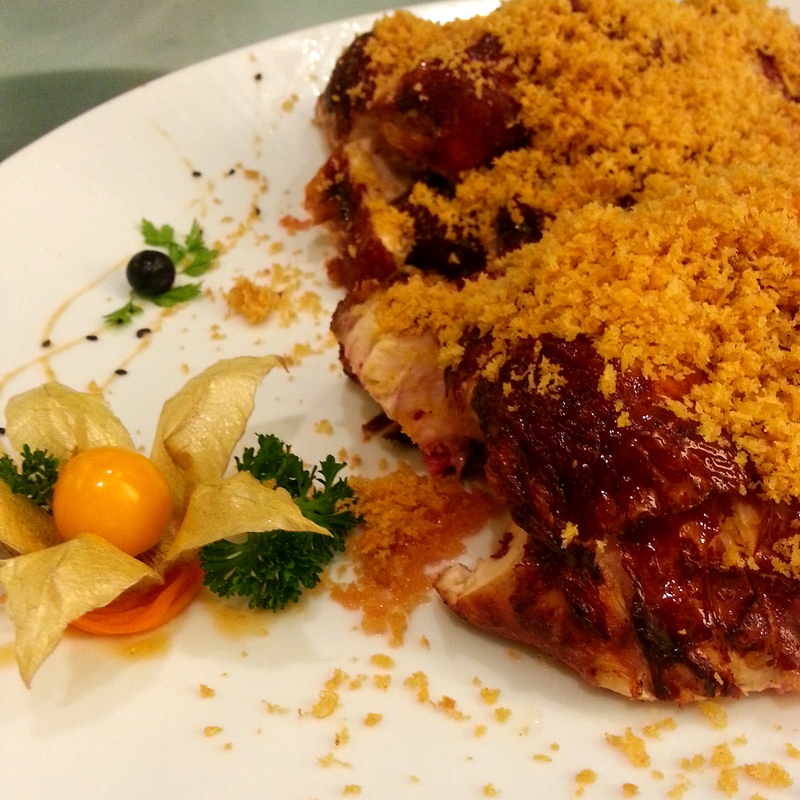 Click here for more details on their 5 different menus and opening hours during CNY. 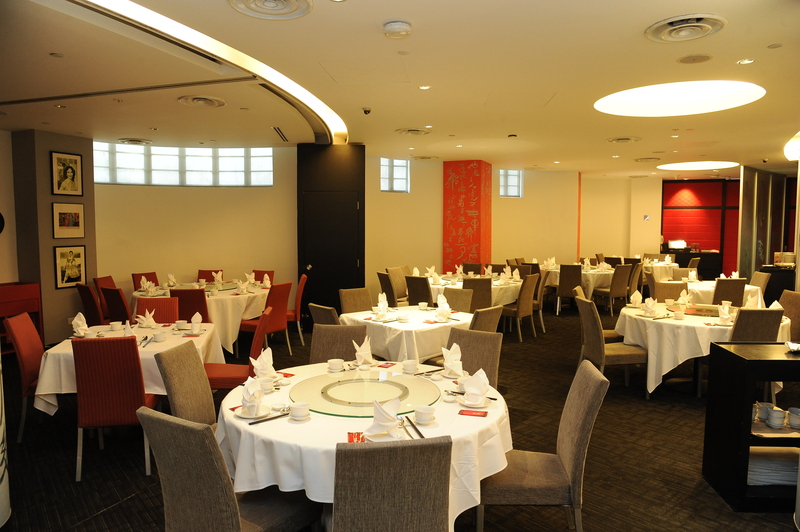 Chinese New Year set menus are priced from $698++ for 10 persons. 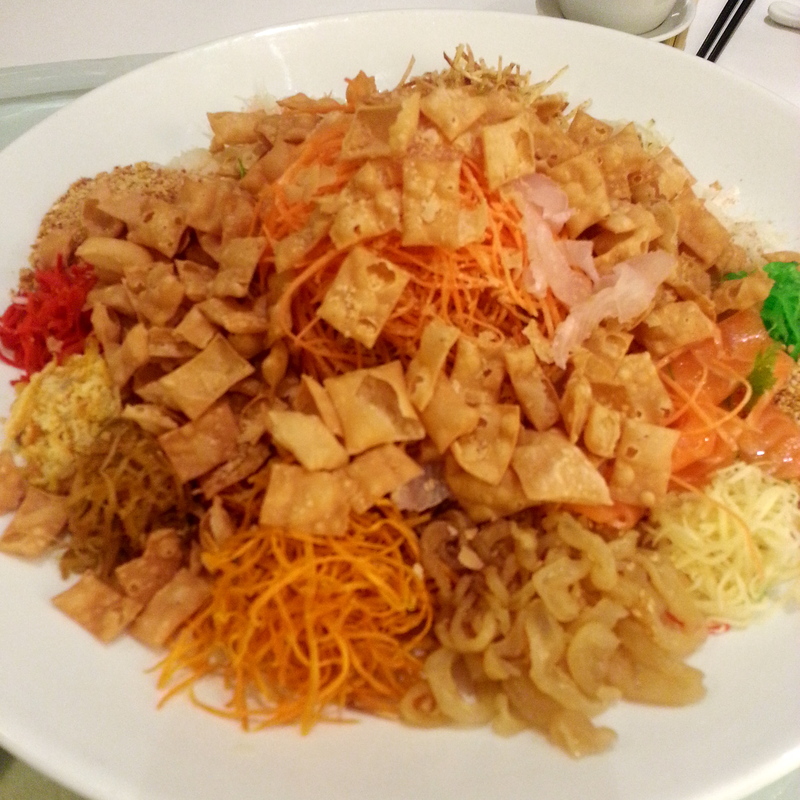 The Cathay Restaurant also has 2 takeaway menus (yusheng + CNY snacks) if you prefer to dine at home. Festive Takeaway set menus priced from $398+ for 6 persons (not shown on brochure). 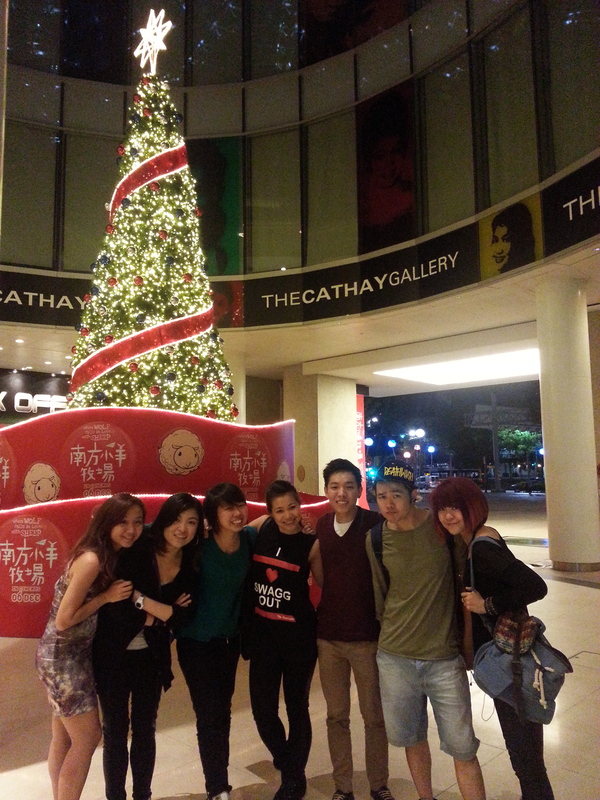 Thank you The Cathay Restaurant for a wonderful perfect reunion! 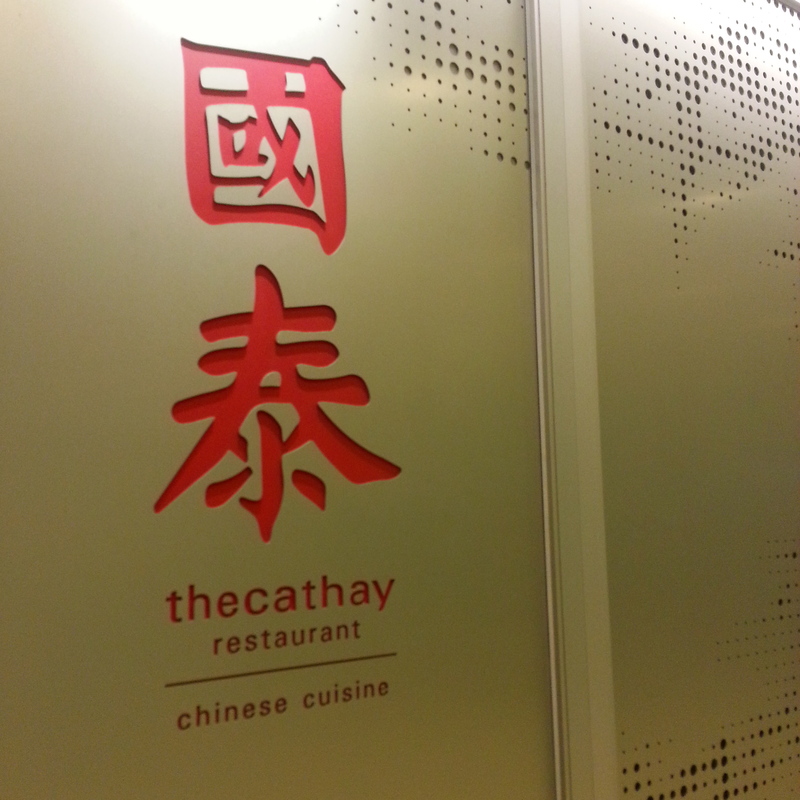 For reservations, call 6732 7888 or email reservations@thecathayrestaurant.com.sg. For corporate reservations and enquiries, you can call 6736 7340 or 6736 7297. Reserve a table to celebrate an early reunion dinner at 4pm on 9 or 16 February, and be entitled to a $50 return dining voucher with $500 spent or a $100 return dining voucher with $1,000 spent. Reap the rewards of generosity with complimentary wine, ang pows and movie treats*! Complimentary pair of Platinum Movie Suites vouchers when the first 80 VIP Cardmembers make reservations for their reunion lunch or dinner. Receive a pair of movie passes to “check in” to HOTEL DELUXE (百星酒店), opening on 7 February 2013) or “enjoy a fengshui session” in RED NUMBERS (红字), opening on 22 February 2013, or collect the movies’ limited edition premiums, with order of any delectable Chinese New Year set menus. 20% off Chinese New Year Festive Goodies with participating credit cards (ANZ, DBS, UOB) from The Cathay Restaurant’s Festive Goodies Sales Booth at the The Cathay, Internal Atrium (Level 1), from 11 January – 24 February. Opens daily from 12pm to 8pm. Make a corporate reservation from 7 January to 24 February and be duly rewarded with: a complimentary bottle of wine, with spending of $688; $100 worth of dining vouchers (valid for next visit), with spending of $888; $200 worth of dining vouchers (valid for next visit) and a complimentary bottle of wine, with spending of $1,888.